Base yourself in Centro so you can just as easily explore the stunning colonial architecture of the old town, as you can head into Vedado, where you will do the most fulfilling eating, drinking and playing. Check out the best of your accommodation options in my previous blog here. 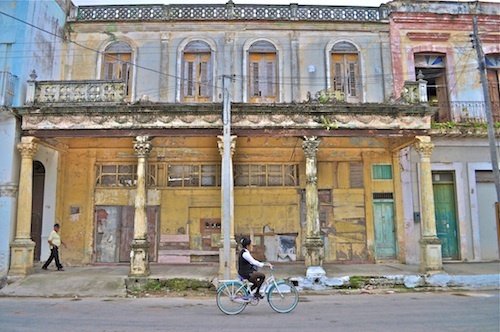 Spend at least a day getting lost in Habana Vieja, dodging bici taxis and cat calls to ogle the beautifully restored buildings of Calle Mercaderes and Plaza Vieja. I recommend the Preservation and Social Programmes Tour with San Cristobel travel agency (Calle Oficios #110 bajos, e/ Lamparilla y Amargura) to learn about the way funds from tourism are channelled back into restoration and social programs. This includes a visit to the Convento y Iglesia de Nuestra Señora de Belen, a former ruined 17th-century convent turned active community center for the needy, which is always a moving and educational experience. 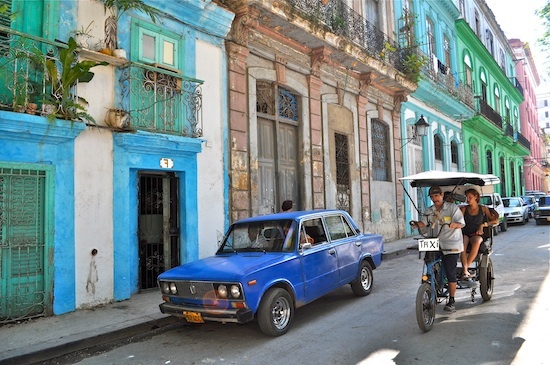 Castas y Tal | Tyler WetherallEat at any one of the many new paladares currently forging a contemporary Cuban culinary culture out of the previously dire dining scene. Castas y Tal (Calle E #158, e/ 9a y Calzada) and San Cristobel (Calle San Rafael # 469, Lealtad y Campanaro) are two of my personal favourites. Music pulses through these streets, rattling out of vintage car radios or streaming from open windows, and you need to spend at least one night dancing till your eyes sting with sweat. Go for Miramar's El Diablo Tun Tun (Calle 20 esquina a 35, upstairs from La Casa de la Música) -- especially on a Thursday -- to get your hips swinging to the sweet beats of live salsa, though the dance floor gets hot with hip-grinding when the reggaeton starts up. There are many potential sights, but the Cuban part of the Museo Nacional de Bellas Artesgave me another perspective on Cuban cultural history through artists I had never encountered before, such as the deeply moving work of Antonia Eiriz. 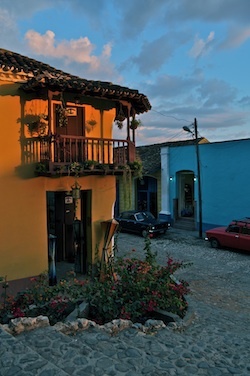 There are more casas here per square kilometer than anywhere else in Cuba, so you can have your pick of colonial residences, most dripping in antiques. Spend one day exploring the cobbled streets and churches of this 19th-century Spanish colonial settlement -- a UNESCO World Heritage Site since 1988 -- ending with an evening drinking mojitos at Casa de la Musica. I woud take another day to explore the lush surrounding countryside of the Sierra del Escrambray diving into waterfalls and hiking up overgrown trails, or, for those with a higher tolerance for tourists and touts, do the beach bum thing on Playa Ancon. 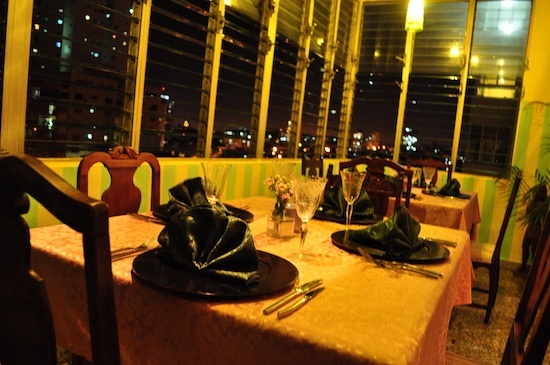 Make sure to dine at the hidden gem La Ceiba (#263 Pablo Pichs Giron) at some point during your stay. If that intellectual revolutionary has always fascinated you, come here for mass indulgence in Che hero-worship. With a museum dedicated his life's work, his mausoleum and the site where he ambushed an armored train in 1958, you'll come away with a better understanding of the man himself, or at least his legacy. Santa Clara also has some of the country's most interesting and edgy night scenes thanks to the many students here. 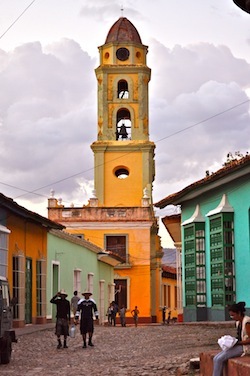 Although taking to Parque Vidal with a bottle of rum is just as satisfying: sit beneath one of the mighty palms, listening to a man strumming his guitar and watching the youth of the town dance their modern day courtship. 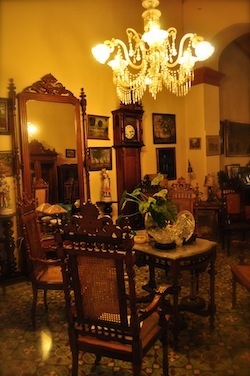 Book into the Hostal Florida, one of the most beautiful casas in Cuba. 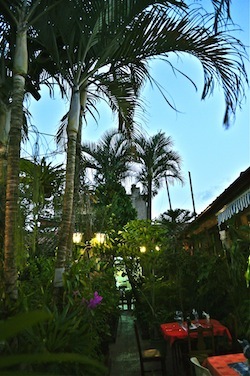 If you can't get a room, have dinner in the on-site paladar located in their overgrown tropical garden terrace. There are countless beaches full of tourists brandishing their all-inclusive wristbands, who spend their holiday in the air-conditioned sanctuary of tour buses or the sanitized resort bar. No matter the beauty of the beach, I find it an uncomfortable pleasure, and would much rather somewhere shared by locals. 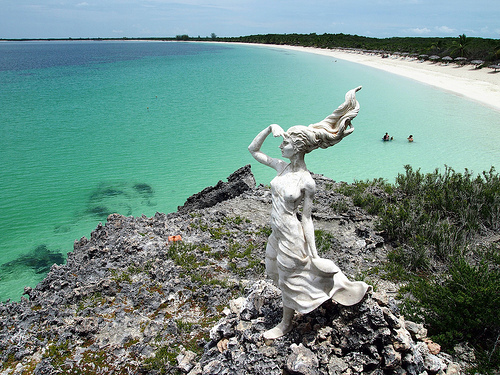 While you really need to get further afield, away from the well-developed, state-controlled cayos to find such a beach, Cayo las Brujas is one of your best options within reach of Havana. Public beach Playa Salina is little more than a strip of white sand, with wind-battered tattered palm shades, under which Cuban families on holiday enjoy picnics and loved-up honeymoon-ers splash about smugly in the shallow, turquoise waters, while at the other end is the average yet affordable Villa las Brujas. Caibarién | Tyler WetherallI chose to stay in Caibarién, a study in precarious architecture and surreal small town idiosyncrasies. This is a place where horse and cart is still the most viable form of public transport, and by the afternoon you can't purchase a loaf of bread in the supermarket. It was an hour's drive to the beach by day, but by night we got something closer to real-life Cuba. An alternative to Cayo las Brujas is to head back towards Havana through the Viñales region, and check out the lesser-explored coast of the Pinar del Río province such as the three kilometers of sandy beaches on Cayo Jutias or the more developed Cayo Levisa. Although, as much as you plan, it's the unplanned adventures -- hitch-hiking along dusty streets in the midday sun, barbecuing freshly caught lobster on the beach, getting lost and finding yourself somewhere completely unexpected -- that makes any trip to Cuba worth taking.